by Nicole Maldonado | Staff Writer | Turmoil is brewing in the world of college education. Tuition is spiking every year, classes are cut and a faculty strike looms. 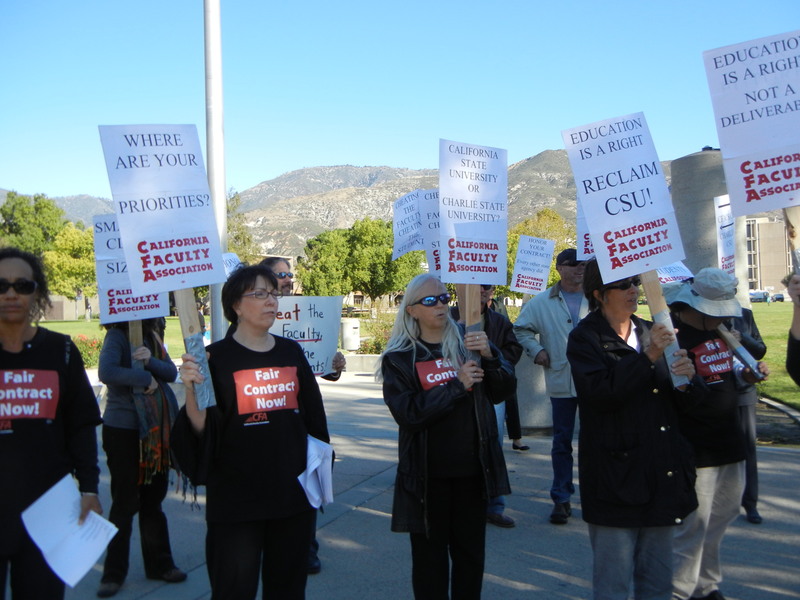 I think teachers striking is the worst thing that could happen to the CSU system. We already pay increasingly higher prices for tuition and now we have to deal with teachers potentially going on a full-fledged strike. Where are our tuition dollars flowing nowadays? To me, it’s right down the drain. “It is pushing back something of value and importance to us, like graduation” said student Tony Soza in regards to a possible strike. Soza is supposed to graduate in the spring. With important things like graduation at … [Read more...] about CFA vs. Students?